So, while it has been a while since I last posted here, I am extremely excited to share with you, all about a fun yet unconventional dining experience (it’s an all day eat-out) in the heart of Hyderabad, i.e. Sante Spa Cuisine in Banjara Hills. Before you get thinking that there is a spa twist to this as well, hold on as there isn’t but the food here promises to be made with the choicest of healthy ingredients without compromising on the taste factor. And for someone like me who is quite conscious of my food intake but has been travelling quite a bit in the recent teams, a healthy eat-out is absolutely a great idea!!! Getting Started- They have an elaborate menu on offer and just because their offerings are healthy does not mean that they have a limited menu! You in fact, would land up spending some good amount of time mulling over what really to order. In the starters, the Thai Spiced Fish Cakes totally won our hearts!!! WOW Factor- Well, for a pizza lover, pizza on the order is a must! And believe it or not but most of their pizzas have a Ragi Base! And as you can see our pizza was very colourful and trust me, very tasteful as well! Sweet Endings- You have to really love a dessert to ask for a repeat, right? Their Valrhona Chocolate Pie with an oat flour base was absolutely divine! This one is especially dedicated to all our readers who have been wanting to read a beauty blog post- there are some fab tips and recommendations… And what’s more is that we have combined this demand with something for our readers who love to read and enlighten themselves on wellness and food. The best part about this post is that we reached out to someone who constantly loves to educate herself about what goes into her food as well as the body. And whatever she writes whether it’s on natural products, health food, yoga, wellbeing, eco-travel, home or sustainable fashion- she doesn’t shy away from being honest and only recommends brands she truly trusts and that too post sufficient background check! Q: Tell us about your journey on what eventually led to starting- Beauty Sprinkles?A: I had been blessed with very good skin throughout my teenage days but as soon as I hit my 20’s, my skin started to become very sensitive and even intolerant. It took me a couple of years to understand what exactly was going on and how I could tackle the issues without changing my lifestyle overnight. Alongside, since I already had a knack for literature, designing and other creative fields,I decided to share whatever I had learnt over all these years with other people. Q: Tell us about the best beauty buys of 2016 and why? A: The three best buys of 2016 would definitely be- 1) Just B Au Naturel’s 100% Natural Deodorant Cream because it is made with organic ingredients and is 100 % free from aluminum. 2) The Skin Pantry’s Aloe Whisper Moisturizer as it is very mild and hydrating and of course is organic and is made with very high quality ingredients. 3) A pair of earrings I got from Purpose Jewellery. Not only because it reflects my personality but also because it is made by survivors of human trafficking. These women are very talented and deserve to be applauded for their courage. Q: Tell us how in our daily living-a few basic practices which we can alter to ensure a healthier living? A: I know it may sound very basic but keeping hydrated is very important mainly to flush out all the toxins. My health has gotten a lot better after I scrapped processed food from my diet and started having fresh home cooked food. The third practice would be to have sugar in moderate amounts. You don’t have to completely remove it from your diet but having it every single day is definitely not a very healthy practice. Q: Tell us about the three best health food buys of 2016 and why? A: Himalayan Cheese mostly because of the taste and because it is made from real milk from grass fed cows and also as it involves fair trade. The next two things would be ideal buys for the vegans- Nut Khut Peanut Butter from Organza Foods because of the organic ingredients and the delicious taste and SVA Foods Nut Milks because they are freshly made and they even have a big range of flavoured nut milks. Q: The most underrated health food according to you and why? A: In my opinion, since I am not a nutritionist-I think the most underrated health food would be Psyllium Husk also known as Isabgol. It not only helps with constipation but also cleanses the colon. Q: Tell us about that the one food term, we have to know about! A: Omega 3 Fatty Acids which is an unsaturated fatty acid mostly found in food items like fish, nuts, chia seeds, flaxseeds etc. It has numerous health benefits for the heart, skin and hair and is also very beneficial for women with PCOD problems. Q: According to you- the most environmentally conscious beauty and fashion brands of recent times? A: My message would be to appreciate the beautiful life you are blessed with.Taking care of your health because to create a life you want and to give back, the most important thing would be to have energy which is possible only when you are healthy. So, just be happy, be healthy and share the love. Wow, that was quite a simple yet profound message for you guys, what say? Hey, so it is truly the season to be jolly! We hope that you are making the most of this time of the year 🙂 With the World being our stage and a global outlook, we thought it is best to further expand our horizons and without any delay- we should virtually visit some of our favourite places and unravel them well. This desire took us to London to talk about a fun and buzzing café called the Trew Era Café which has also led us to start a brand new series called the Café Crush where we shall together discover some of the worthwhile cafes from around the World. We are excited, already!!! A: One popular lunch dish is a sandwich of whole meal bread (or white or gluten free) with hummus and char grilled peppers flavoured with sumac-a lovely, slightly smoky but slightly fruity seasoning. Some people add a bit of feta cheese for more protein. Our toasties are very popular too, particularly one made with pesto, tomato and mozzarella cheese. The mozzarella melts really well. We also have a new vegan “cheese” based on coconut. It sounds strange but it actually does taste like cheese. A: One of our most popular smoothies is the creation of one of our team members- Gary. It is called- Caribbean Green. It has pineapple juice, ginger, honey, banana, spinach and coconut milk (or an alternative milk or real milk can be used). The recipe is flexible but it’s very popular. I can’t really say which egg dish is the most popular but we do get lots of requests for egg (scrambled) and avocado. It’s a very nice and nutrient dense meal. We also do eggs with spinach and tomato which is also really healthy. Most dishes come with a generous side salad on request. We get lots of sweet dishes which are gluten free and/or dairy free but one staple is Kizzy’s cookies which are vegan and brought in by one of our friend’s Kizzy. They are generously sized and go really well with tea or coffee and are a good snack to take away. The most popular flavour is chocolate chip. A: Expect a very warm welcome and a very home like atmosphere. The coffee is excellent and very good value compared to other places nearby and we have just about every alternative milk type drink under the sun. We often have music playing and have a little dance. Expect lots of people who have just met to be chatting away to each other like old friends, and delicious soups and stews chock-full of colourful vegetables. Do not expect to see Russell Brand. He has many commitments and is a very busy man. With this café giving you a home like feeling, next time around don’t feel lost in London, okay? Let’s give our body the Antidote surprise! In times when the rather fancy and not so-healthy stuff is all what we expose ourselves to, the healthier stuff surely is left in the background. However, this time around something very healthy did make one jump up to take note. 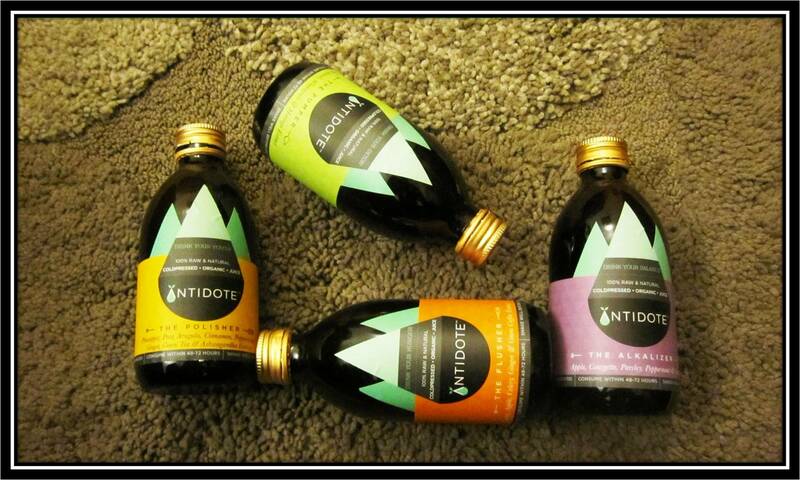 I am actually talking about the wide range of Antidote cold pressed and organic juices. The brand swears by the belief of being an add-on to your general lifestyle and food habits, it provides you with that extra energy and glow making your everyday tasks a lot less taxing! These juices are considered ideal to revive and detoxify the body. I too plunged to bless my body with the Antidote surprise. And believe me, their programmes would let you get your hands on some of the most healthy and interesting juices. Besides the individual bottles, the brand even promotes these highly-valued programmes to cater to different requirements. Broadly, there are five programmes: one is for purification and cleansing, another one for weight loss, then one for providing proteins and strength, then for your hair and skin and lastly, there is something for anti-ageing as well. These programmes come in 3, 5, 7, 10, 14 and 21 day packages. I was quite kicked about all of them but I with much difficulty finally zeroed on the first one. The plan of action is rather simple; the day you chalk out for the programme- you consume four different juices through the day. And a point worth remembering is that each one has to be consumed 60 – 90 minutes before each meal. For all those who are already intrigued to know what all I enjoyed, here is a low down. Though not all of them are going to be extremely tasteful, but when you would remind yourself that it is all for good health, consumption would be easier and more fun. 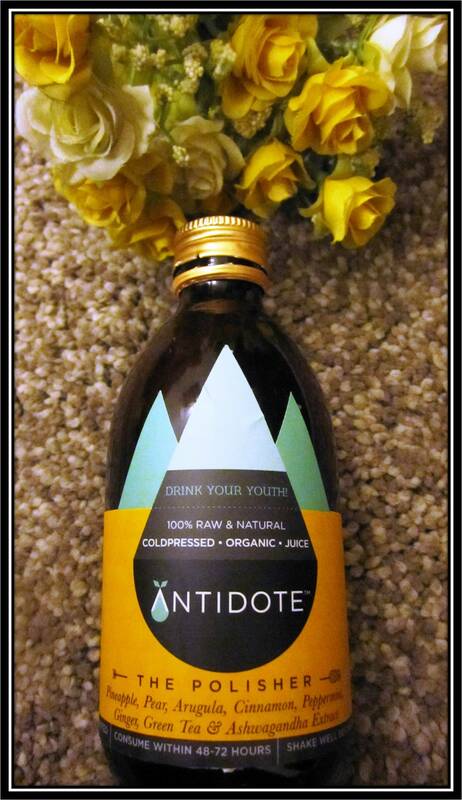 It was absolutely wonderful to detox after a long time and I am sure my system too is ever so thankful to Antidote. Here is just a little piece of advice, please do mention to them at the time of placing your order, if you are allergic to specific products, nuts, fruits etc- so that they can formulate your programme accordingly. It´s not often that a brand takes a social issue beyond just a CSR stunt. Hard Rock Café has however left Sonali and me pretty impressed with their PINKTOBER campaign, which has been a constant annual activity from the last 14 years. That is some seriousness! Isn’t it? For those who are not aware about the campaign- Pinktober is a Breast Cancer awareness campaign run in the month of October at Hard Rock Café. This initiative with PINK menu offerings, Pink drinks, live music events highlighting local and emerging talent and limited-edition merchandise helps celebrate the courage of breast cancer survivors and their efforts to spread awareness. 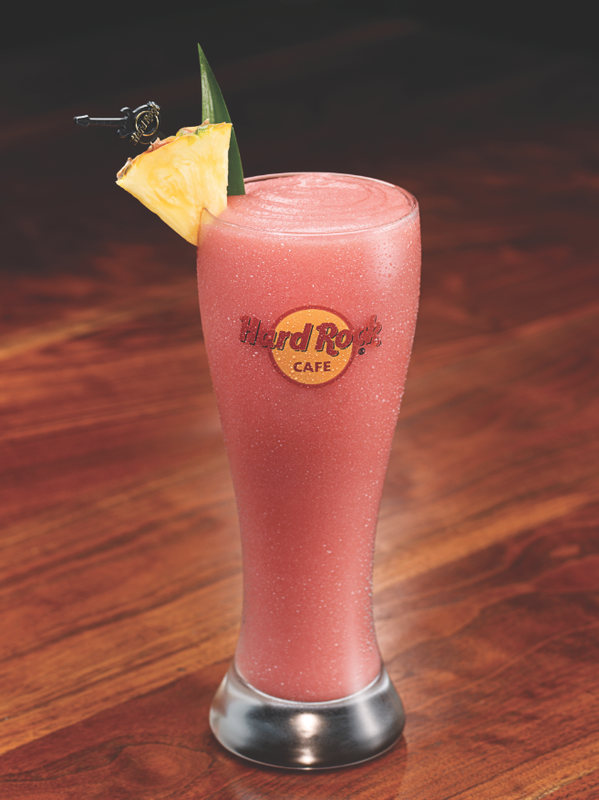 Hard Rock Café outlets in Mumbai, Bengaluru, Delhi, Pune and Hyderabad will donate the proceeds from their month long charity efforts to the Elle-Ogaan Cancer Foundation. This year it means even more for us as we got to attend an interactive bloggers meet with experts from Indian Cancer Society, organised by HRC, Saket. It was an extremely informative session and imparted in-depth knowledge on the health issue that we otherwise tend to ignore. What is also considered a taboo in Indian society, Breast Cancer has become a more than common problem in urban setups. But what is sad is that unlike the developed nations, the survival rate in India is very less and the only reason behind the same is an ignorant population. Doesn’t it make sense to just know a little about problem and take the right preventive measures. Here, are some very quick tips on how the evil Breast Cancer can be kept far far away! -To start with, every woman must do a self breast examination test every-month followed by a time to time medical examination specially after the age of 30. – We know alcohol and cigarettes tempt but trust us they cause not only cancer but a lot of other harmful diseases. So, quit smoking completely and atleast reduce consumption of alcohol as much as possible. – Maintain a low fat diet and maintain weight. To sum up, it is important to maintain a healthy lifestyle, while also doing regular examinations. And very importantly, please spread this awareness among all the women around you.